This weekend I had not one, but TWO, hot showers. I watched a flat screen television, used high speed internet, slept under several blankets in air conditioning, brushed my teeth without having to remember my purified water, ate multiple salads with several types of greens, read a book by the pool and allowed myself to remember what a little luxury feels like. To commemorate hitting the halfway mark of our time in Haiti, M and I decided to spend the night at one of the resort hotels here in Haiti called Karibe. Shortly after checking in and moving rooms twice (long story – we’re indecisive), we landed in a gorgeous room with a view overlooking Port-au-Prince. The first thing we did was stand on the porch and take it all in. The longer I’m here the more deeply I feel the divide. The us vs. them. The privilege of a few that stands out, and literally above, all of the brokenness. 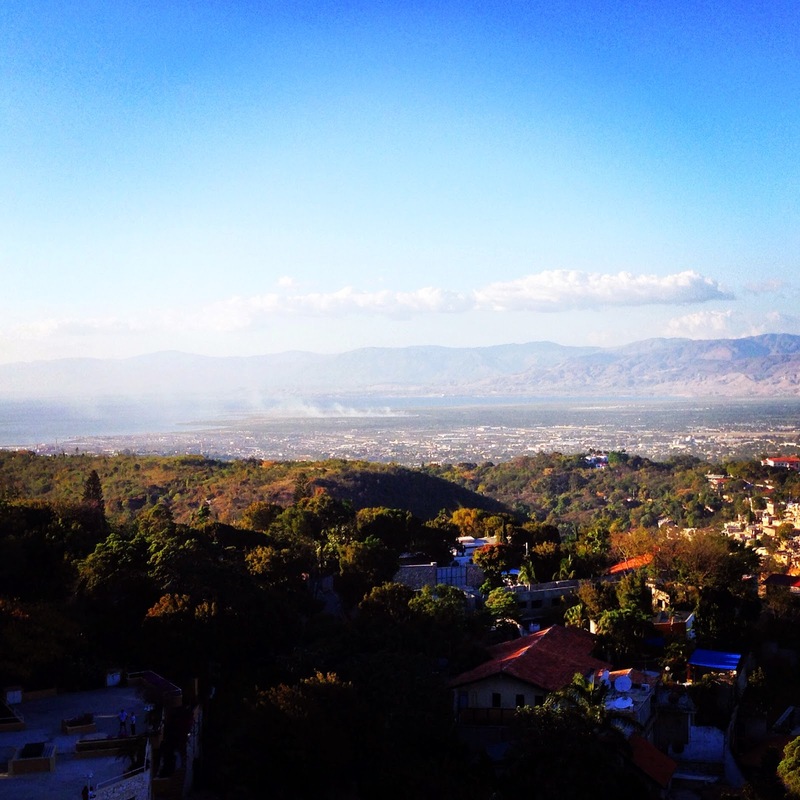 From our breathtaking balcony settled in the mountainous hills of a town called Petionville, well known for being an affluent neighborhood of Port-au-Prince, we could see the airport, the Carribean Sea, and mountaintops stretching along the horizon. Then, with just a quick glance down, we had a direct view overlooking the valley littered with families living in homes built with four hand poured brick walls and a tarp for the roof. I stood on that balcony with this quote in mind. Here I was, literally standing at the intersection. Looking down at the poverty and looking around at the privilege and wondering, where do I believe God is in all of this? How is it fair that I get the shower and the TV, the salad and the air conditioning, the pool and the internet? And then Jen goes and lays it out for me. It’s at that intersection where I’ve decided to say, I care. I believe that God cares, and I want to care like He does. Right now, that means Haiti. That means investing in kids, teaching English in the slum, coming alongside adoptive families, hosting teams and sharing my experiences. That’s been the take-home message of the last six months. Poverty is everywhere, but hope is alive. The book goes on to remind me, “God does not change, but He uses change- to change us. He sends us on journeys that bring us to the end of ourselves. We often feel out of control, yet if we embrace His leading, we may find ourselves on the ride of our lives.” So the next six months loom ahead, full of promise and hope, full of the knowledge that God is the same yesterday, today and forever. He is standing at the balcony next to me whispering the reassurance that He is familiar with the ache and tension I feel in my heart for all of these people. He knows. He is present. He is working. – Deeper relationships with the kids we know from the orphanages as well as the kids from the community where I’ve been teaching. Now that I know a decent amount of Creole, I feel like I’ve gotten to know many of the kids beyond just their names. I’d love to know them more deeply now that they are familiar with me. I’ve also been teaching an English class each month with a community of kids in a city called Menelas. They’re all incredibly eager to learn and they are so bright. I’d love for those relationships to grow. – I’m working on creating an internship program for this summer. We’d like to have someone here to coordinate with our orphanage partners and move forward new projects that the orphanages need. We have someone in mind and we’re praying that the details will come together for her to join us for the summer! – The adoption process in Haiti in general. Many families are still waiting to be matched with a child, many are waiting on final paperwork to come back and bring their children home. Many are waiting just to be submitted at the very beginning of the process. Basically everyone is waiting and that wait hasn’t been easy. 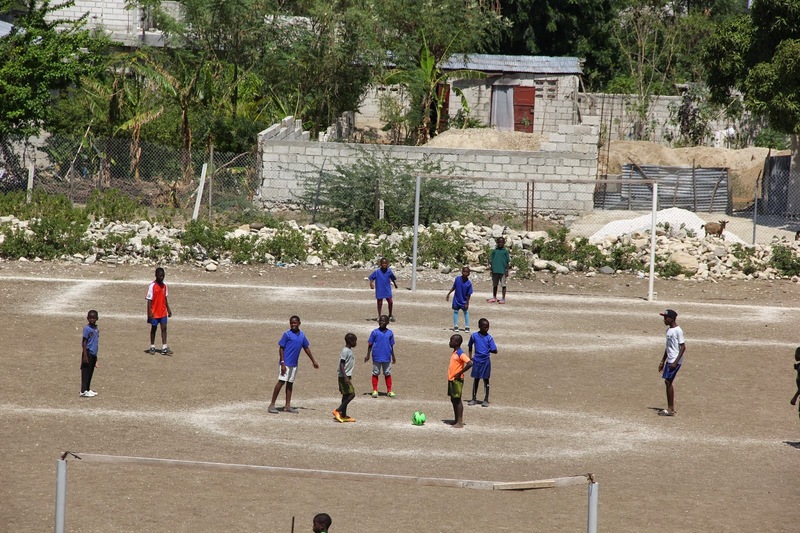 We’re praying for movement and that the Haitian government would work out the kinks in their new process. – Community has been a big prayer request this whole year. M and I have a great relationship, but we haven’t had a chance to meet as many people outside our little bubble as we had hoped. We’ve recently connected with a couple other young girls running another Guesthouse and we have a friend date on the books! Hopefully this can be a source of relaxation, decompressing and friendship for us outside of our day to day jobs/life.